It’s worth remembering that while a greater and greater percentage of doctorates are awarded to women, there are still huge institutional barriers to women entering the science and technology workforce. While increasing female education attainment will likely erode these barriers in the future, they’re enormously harmful today. 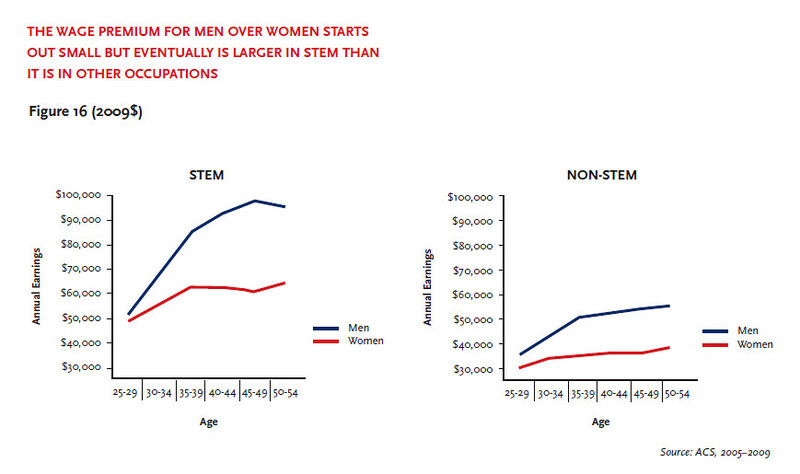 Barriers that cause large numbers of female STEM BA graduates to leave their field is a huge waste of talent. The entire report is very informative; check it out. Update: I should probably note that the above statistic only covers female STEM BAs, which are generally less useful than STEM BSs, for both males and females. 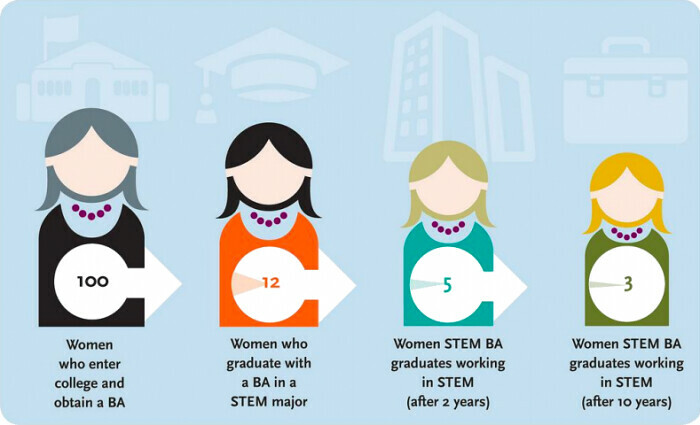 The lower career utility of a STEM BA vs. a BS likely explains some of the high attrition rate of female STEM BA graduates. That said, there’s clearly suboptimal education resource allocation going on if that many female STEM BAs don’t stick to jobs in their fields.